Do you crave stability in your life? Wish you had a little more structure in your schedule? When you stick to a similar schedule and routine each week, you can actually make time for the things that matter to you. Structure helps you stay focused and get things done. During weeks when my workload feels hectic, having daily and weekly routines means I don’t have to play catch-up or wing everything. There’s nothing wrong with winging it, but I feel more at peace when I’m prepared with a plan. Lack of structure can make us feel unmotivated and distracted and often leads to you doing everything at the last minute. Of course, flexibility is important, but structure is necessary for creating a sense of stability and balance in your life. 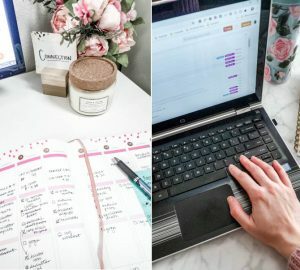 Today, I’m sharing 5 ways you can build structure into your weekly and daily schedule so you can feel less stressed and more prepared! Batching is the process of grouping similar tasks together to streamline your workload. When you work on similar tasks together, it’s easier to get in the zone and stay focused. For example, I use Tuesdays to write my blog content because I know I can write uninterrupted for most of the day. If you take a closer look at your weekly schedule, you’ll notice that you do similar tasks each week. 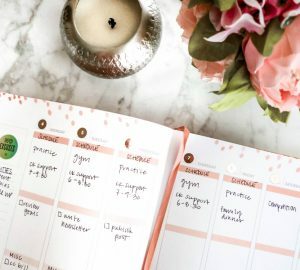 See if there’s a way you can theme or batch your days so you always have a game plan for the week. If you find yourself totally unprepared for Mondays, try planning your week ahead of time. I use Sundays to prepare for the week so my life feels a little more organized. This is the perfect time to see what’s on your calendar and make sure you have your ducks in a row. I check my calendar and emails to see what blog posts I need to write, which projects are due, and any scheduled appointments. Here’s a list of 20 productive things you can do on a Sunday to prepare for the week ahead. Even if you’ve already planned out your week, it’s important to plan out some of the details of your day as well. This will help you stay on track and figure out exactly what you need to accomplish by the end of the day. I recommend choosing your top three priorities for the day and scheduling them in time blocks. Here’s a tutorial explaining how I do this. Routines create consistency in our schedules, help with time management, and encourage us to build healthy habits. 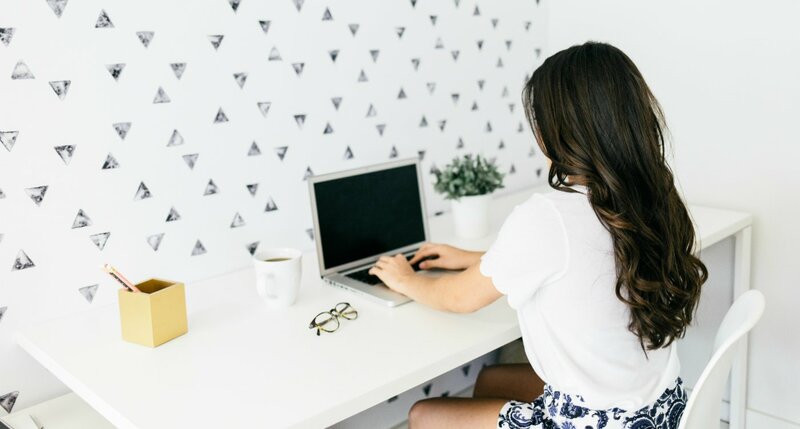 My morning routine keeps me sane, especially when I’m overwhelmed with my to-do list. Even if the rest of my day is terrible, I can feel good knowing I did a few things in the morning to take care of myself. If you want to start your own morning routine, there’s a simple framework you can follow in this post. Of course, I have to remind you of the importance of scheduling self-care into your schedule. Once you’ve planned out your week with appointments and to-dos, it’s vital that you plan some downtime to recoup. Take a look at your schedule and pencil in your favorite self-care activities or time to do absolutely nothing. 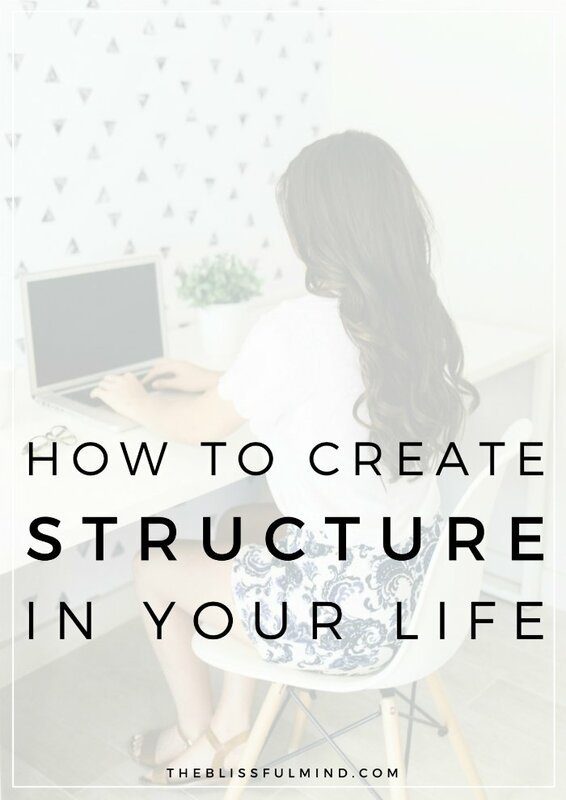 How do you create structure in your life? Structuring your weekly and daily schedule is a great way to feel more at ease with your to-do list. Batching your days, planning ahead, and creating routines are all simple ways to make this happen. I’m curious to know if structure is important to you and how you structure your schedule. Leave a comment below with your thoughts! If you need help creating structure in your life, I’d love to help you design your ideal routines, schedules, and habits to reduce stress and burnout. Learn more here. I love the idea of creating a batch/theme days, it’s going to help me to be more organized as I am currently all over the place with my schedules. Actually, I love having a night routine too, it allows me to be a lot more productive the next day. I prep everything for the morning,plan my breakfast, pack lunch, pick my outfit and meditate just before to unwind. I’m pleased to report that I am following most of these guidelines. I will consider the batch/theme days, though. I think I informally do this, but planning that way may help me create more structure. I just found your website and love it! I’ll definitely be back. Yes! I only work 3 days a week, the other four I’m a stay at home mum. If I didn’t have a rough schedule for my days when I’m at home I am certain I would waste my time away in front of the TV or something. I usually break my days up into time for chores, play time, outtings, meal times, rest times & I study from home on these days as well. Totally flexible of coarse, but I really don’t know how I lived life before I created this kind of structure for myself! I mean, it’s basically like you’re in my brain telling me everything I need to hear right when I need it. Now that I’m self-employed I have been craving routine – thank you so much for this! I do all of these, but I struggle the most with #1. I try to stick to a theme and batch my tasks on certain days, but sometimes I end up tackling other tasks and getting totally off track. Thanks for these tips! Super helpful tips, especially for a dissipated person like me. I’ve recently switched to a healthier lifestyle and now I’m training with SportMe running app for my first race and also trying to save some money to get back on my feet with finances. I needed to read this post this morning! I always struggle to plan everything out in the most efficient way. And especially blogging needs some structure to get all the things done that you want to have finished by the end of the day or week. So, yes structure is important to me, but I struggle to find the most efficient plan to implement it. That‘s why this post was so helpful to me! So far, I have improved my schedule with building to-do lists where I feel very satisfied when I can cross off another thing done, but I really like your ideas! I will definitely try some of them to get a more clear and defined plan of what needs to be done.